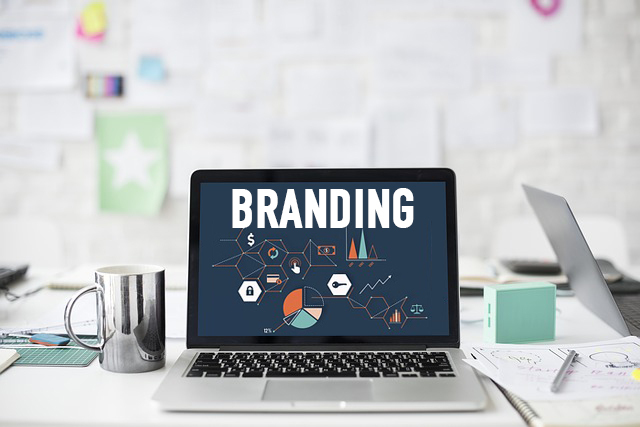 Do you think branding is important for a business? This is one of the most debated questions in the world today. Initially, when the concept of brands was formed, it was a just a logo or symbol of an organization. Today, the meaning of the word brand has entered into an entirely different realm. In the current world, the brand is the way in which a consumer evaluates and understands you. When we say a brand name, we imagine all the types of products and services offered by that company. It is through the brand name, that a consumer decides whether to avail your services or not. It is difficult for every business or entrepreneurship to sustain in the global market without a brand name. Let us see why a brand name or branding is important in a business or marketing. Easy to gain recognition – Branding helps an organization to gain recognition easily. A product with a brand name stands out among a cluster of other products. If you provide quality products, you will be able to have consistent customers who will be always ready to purchase your goods. Enhances your reputation – If all your products are of premium quality, then the brand name helps you gain a wide reputation. It will also become easy for the consumers to spread a word of appreciation about your services. Easy to win new clients – As your reputation increases, your brand will get easily recognized by new customers. The high ratings and reviews on your brands will help you in boosting your sales. Helps to create strong advertisements – Strong brands can create strong advertisements which are necessary to survive in the competitive markets. Builds trust with the customers – With the help of brands, you will be able to build a bond of trust with the customers. A brand name helps to enhance the authenticity of your products. Helps to overcome new competition – A successful brand does not have to worry about any new competitions arriving in the market. However qualified your competitor is, the consumers will never choose them over your brand. Easy to distribute the products – A branded company will easily get the partners to distribute their products and services locally and internationally. Reduces employee turnover – Employees working in a successful branded company will have more job satisfaction and also will be proud of their work. The success of a brand provides motivation to the employees. This will also enhance the loyalty of the customers towards the organization and hence, reduces the employee turnover. Increases profitability – If you are a well-known brand, people will be ready to purchase your goods at any price. This will help to increase the profitability of your company. Helps to maintain a standard level of expectation – Your brand name will mark a certain level of expectation among the consumers. When you launch a new product, the consumers will have a clear idea about what to expect in the new commodity. The best strategy to convince others to work for you – A strong brand will easily attract other talented employees to the organization. This will help to increase the productivity and sales of the company. Enhances your negotiation powers – A supplier will become more eager to do business with you at any cost if you have a strong and successful brand. Thus, you can avail more concessions from them and can control your expenditure. A promise to deliver on-time – Branding is actually a promise you give to all your customers or client that all your products will be delivered to them on time. Hence, to maintain the reputation of your company and satisfy your customers, it is necessary to keep your promise. Preference among the customers – The customers always would prefer to choose products with a brand name over a product without any branding. Helps to maintain an emotional relationship with the customers – A brand can make the people happy with the products and hence, can form an emotional relationship with them. In short, branding plays a very important role in the success of an organization. It is, in fact, the identity of you and your organization by which the consumers across the globe will analyze you. Without branding, it will become difficult for an organization to face the competitive market.